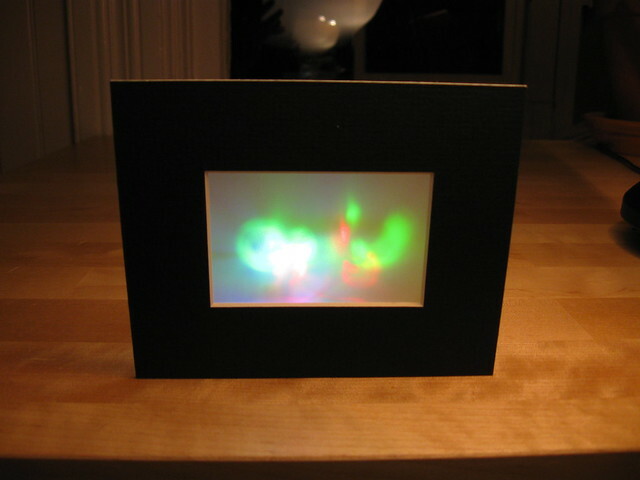 If you’re still looking for some good geek-friendly gifts, I have a couple kits available. 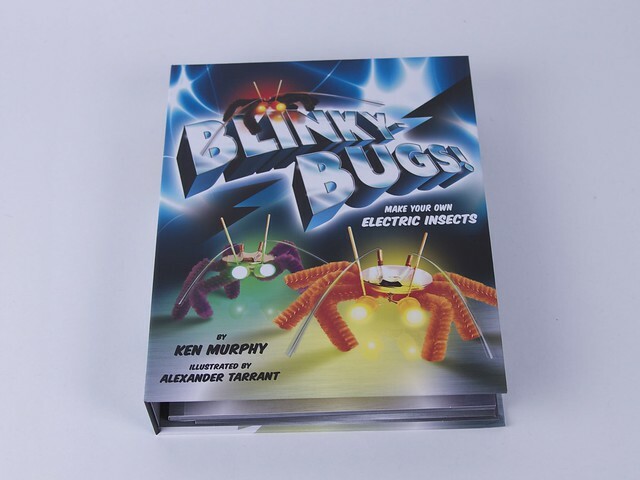 My Blinkybug book/kit is available at Amazon. 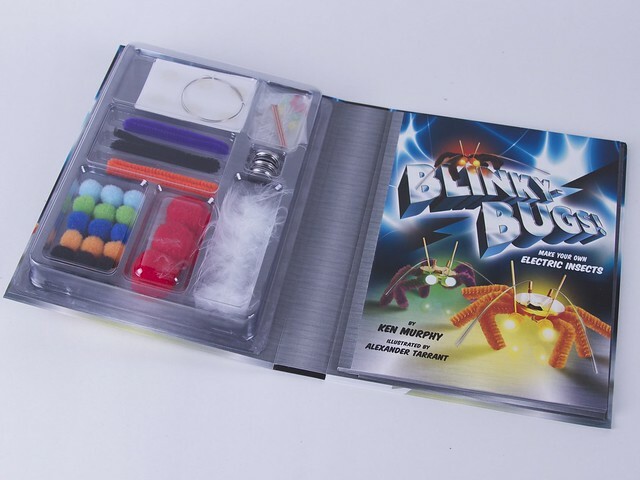 It has all the parts for making simple little blinking electronic insects, with easy-to-follow comic book-style instructions. 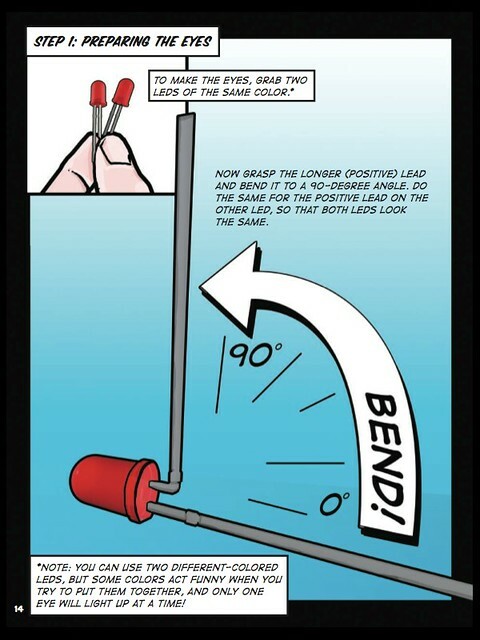 It’s a great parent-kid project. Here’s a review on BoingBoing. 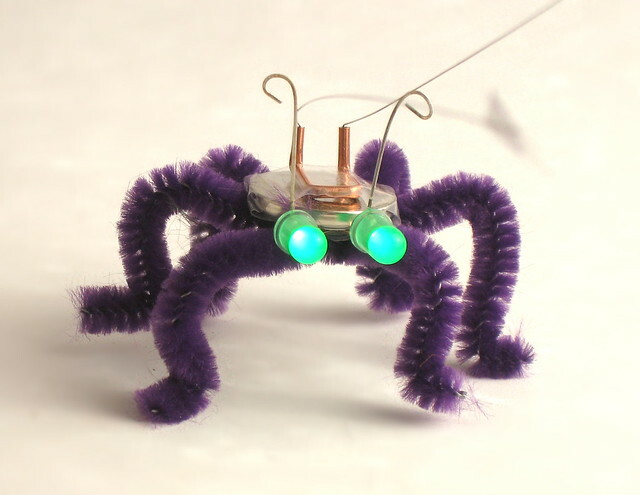 This entry was posted in Blinkybugs, LED Art Kit and tagged art, craft, crafts, electronic, electronic gifts, electronics, geeky, geeky gifts, gift, gift ideas, gifts, kid's gifts, kit, kits, led, leds, nerdy, nerdy gifts. Bookmark the permalink. When’s the kit comin o the Uk? It does have distribution in the UK so you should call around to your local bookstores. 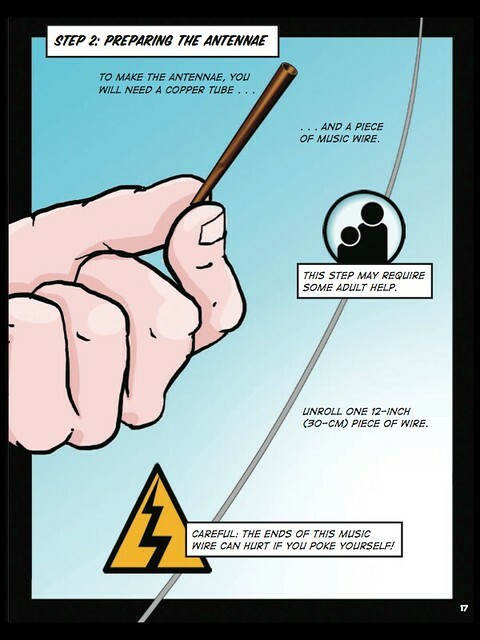 It gets carried in some arts/craft supply stores here in the US so you could try that as well. Regarding the LED Art Kit, MakerShed ships to the UK (although I just noticed in their order form that you have to select the specific country: England, Scotland, Wales, etc., which threw me off at first).